Today's temperature soared to 90. What cooler idea than to go to the movies in the late-afternoon after broiling poolside? "Ghostbusters" was funny enough (thanks especially to Melissa McCarthy, Kristen Wiig, Leslie Jones and Chris Hemsworth [who is hilarious] And no, I didn't leave out Kate McKinnon [who plays the same snark and expression in most everything she does. In "Ghostbusters" she is exactly like the Justin Bieber impersonation she does on SNL. Leslie Jones should have been cast as the scientist.]) I loved the cameos of original "Ghostbusters" Bill Murray, Dan Ackroyd, Ernie Hudson and Sigourney Weaver. The bust and quick-frame tribute to the brilliant Harold Ramis was a great Hitchcockian twist. 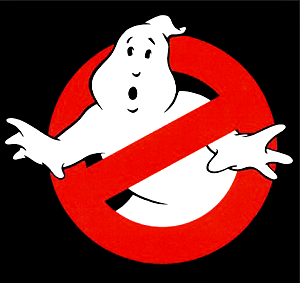 The new theme song is nowhere near as bitchin' as the original "Ghostbusters" by Ray Parker Jr. When I saw the movie in 1984, the house rocked as credits rolled. And then there's the new mix to this summer's release. Click here. I'm thinking, "Is the movie over? Can we go now?" Apart from the anticipation of a lacking-in-spirit theme song, grab a sweater. Get out from the heat. Go sit in a freezing movie theater and welcome the shiver. "Ghostbusters" redux may make you long for the original, but these four chicks (and Hemsworth) will keep you smiling ... until the theme tries to fire up at the end. By then, though, you're on your way out. Keep walking.